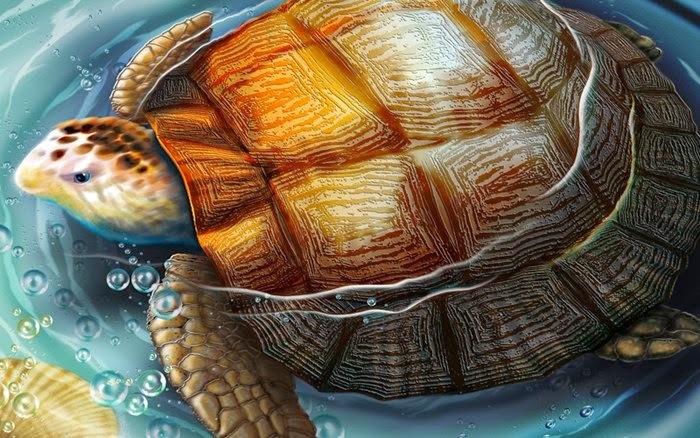 The Turtle is the symbol of long life and crystal has a forceful field of light and energy, which can be uses as a sonic protections against negativity. This property exists in all sizes of crystal including the small once, we wear or carry. The passage of ions through the modular structure makes them a valuable aid in clearing and neutralizing negative conditions in the aura of people of all ages. It can be used to cleanse the atmosphere of large area- our homes, place of work as well, if can become our own personal healer for the body. The tortoise is a symbol of wisdom, and is able to defend itself on its own. It personifies water, the moon, the Earth, time, immortality, and fertility. Creation is associated with the tortoise and it is also believed that the tortoise bears the burden of the whole world. The turtle has a prominent position as a symbol of steadfastness and tranquillity in religion, mythology, and folklore from around the world. A tortoise's longevity is suggested by its long lifespan and its shell, which was thought to protect it from any foe. 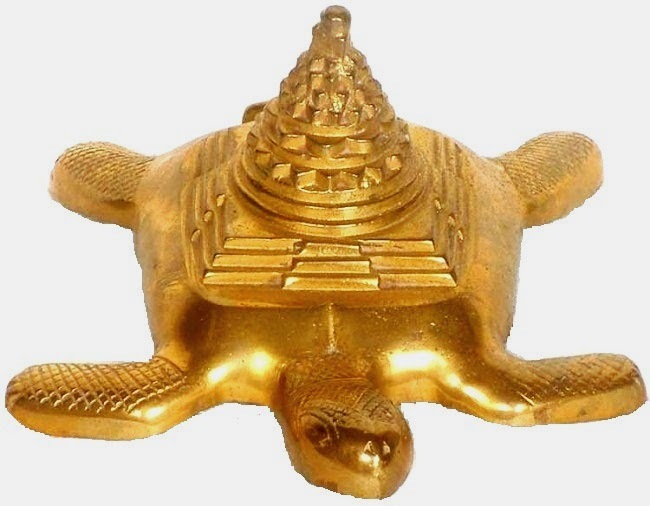 In the cosmological myths of several cultures a World Turtle carries the world upon its back or supports the heavens. 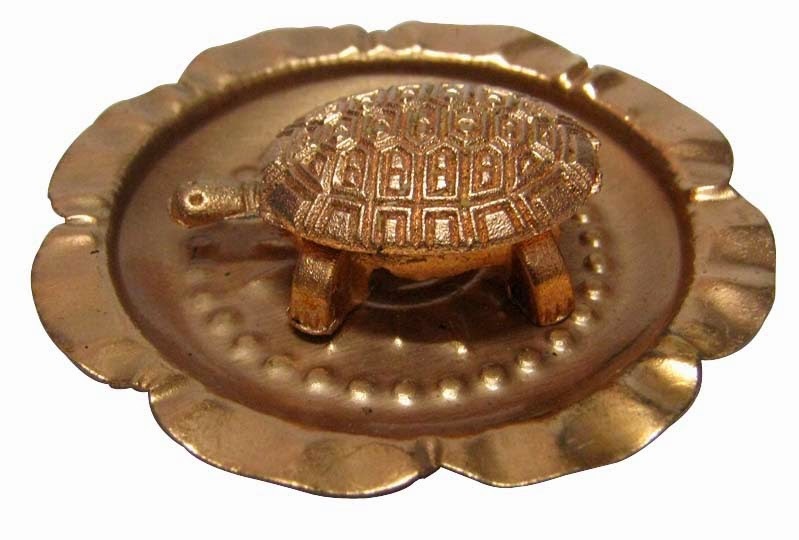 Tortoise is important in both vastu Shastra and in Feng Shui. As tortoise is gifted with long life therefore in Vastu Shastra and in Feng Shui it gives Long Life. 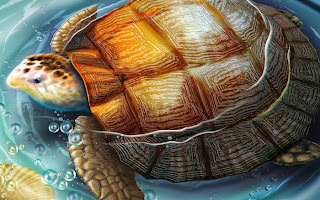 As in Puranas, Lord Vishnu took the form of tortoise to uphold the earth and its beings during the Sagar Manthan; Lord Vishnu’s Tortoise is second avatar and is called as Kurma avatar. These days you can find tortoise in all homes who believe in Vastu Shastra and in Feng Shui. They are made up of Resins, Metal, glass, Mud, crystals or else of Wood. 1. Tortoise which is made up of earthen material such as resin or mud, they should be placed in the North East, Center or in the South West. 2. The tortoise made of metals is to be placed in North and North West. 3. Tortoise made of crystals should be either placed in South West or North West. 4. 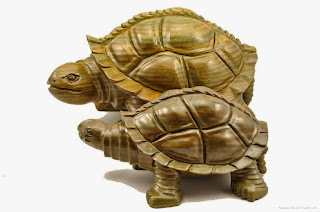 Tortoise figurines made of wood is to be placed either in East or in South East. 5. You must always remember that wherever you place your tortoise figurine, it should always face towards East Direction. 6. If you are wishing to place a tortoise family in your living room; than it is the best option as it will help you to increase your family harmony. 7. 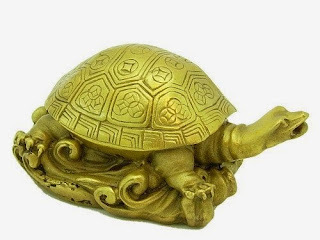 Tortoise figurine must be kept in water. Tortoise figure can be kept in similar material depth dish. Add some water and colored stones. This will make a nice décor and as per Vastu Sashtra bring serenity, harmony, peace, long life, and money in your home. 8. Tortoise need to be take care of that is keep check that they are well placed in above mentioned direction always and the water level is maintained. Water must be enough in dish to soak the feet of tortoise figurine. Vastushastra is the science that synchronizes a balance between human life & nature. Nature consists of five elements. These are water, fire, earth, Air (atmosphere) and Sky (space). The five basic elements, the eight directions, the electromagnetic & gravitational forces of the earth, the cosmic energy emanating from the planets as well as the atmosphere and their influence on human life have all been taken into consideration in the Vastushastra and a tuneful confluence of the nature & the human life has been brought about. There are many Vastu defects like another entrance door opposite to our entrance, existence of the lift, the staircase, hospital, temple, opposite to entrance door are the part & parcel of living system. Actually we are bearing with at least 15-20 Vastu defects as the integral part of our housing system without which we cannot live a normal life. Any kind of structure, which we are using, is called as Vastu. It may be home, office, factory, temple, hospital, workshop, farmhouse etc….. Vastu Shastra was written or developed for, to generate and to get positive energy within your Vastu. Vastu Purush (Male person) imaginary generated considering Vastu energy, its flow direction and to point out exact locations of power / energy points within Vastu. Vastu Purush helps us to locate exact location of concern energy points within each & every Vastu & with the help of those points we can avoid to create any formation of negative energy within that Vastu. His position within Vastu is fixed. He is laying towards North - East to South - West direction by facing down by keeping head towards North - East corner & legs towards South - West corner. 1. Sun energy : Source of Solar energy. 2. Air : Atmosphere, respiration, different gases. 3. Sky : Source of Cosmic energy. 4. Earth : Rotation, Direction, Gravitational force, to hold our self, balance. 5. Water : Flow of blood, circulation, reflection and refraction of the energy. Crystal Tortoise provides stability for your money. Use this crystal for long life. Crystal Tortoise balances and harmonizes the environment around us. Crystal Tortoise can be used to remove stress. Use Crystal Tortoise to have good concentration in your studies.